Diversity and inclusion has been a hot topic in the fashion industry for the longest. From accepting different body shapes to proper representation on the runways, designers and celebrities alike, have been rallying for a change. 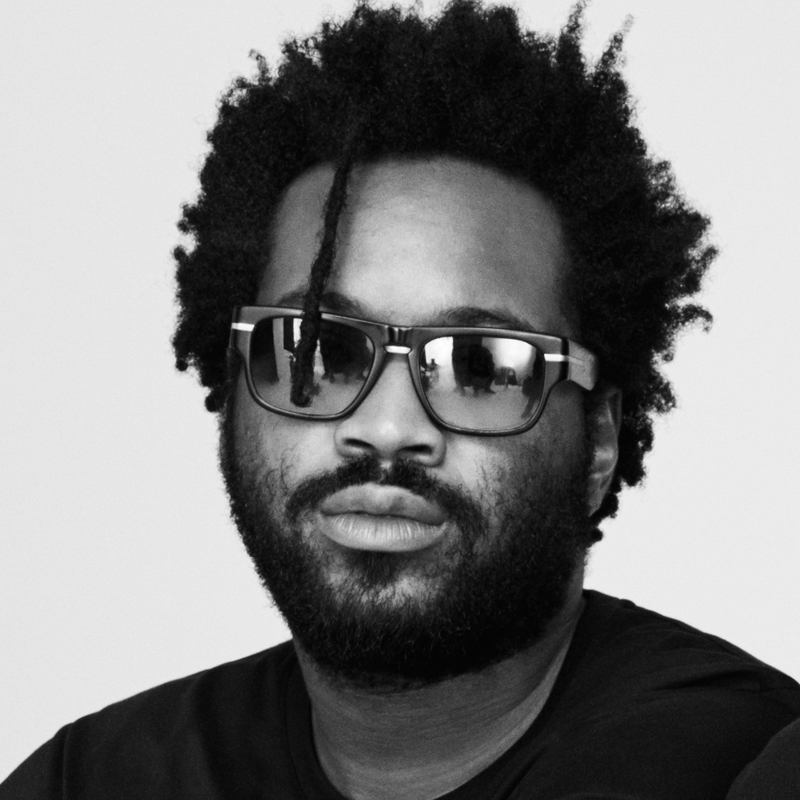 Maxwell Osborne--co-creative director for DKNY and co-founder of Public School--took a stand on an issue dear to him by writing an open letter to the fashion industry urging them to show support for the Black Lives Matter Movement. I could have sat at my desk and just focused on the work piling up. I could have just posted a picture on Instagram. But something compelled me to go into the streets last week and join the movement. For a while now, I have been touched by Black Lives Matter. For three years, its members have taken to the streets and – quietly, defiantly – staged protest after protest after protest and, despite a still-roiling epidemic, they have not tired. They continue to raise questions that we as a country need to ask ourselves and they have reminded a community that the deaths of their own will not be forgotten, nor will they be in vain. As a designer, they’ve made me question what my role is in all of this, what can I do? I decided that I could no longer just sit on the sidelines. Last Thursday afternoon, I left my office in the Garment District, called a group of friends – black, white, Asian, mixed – and we all headed down to Union Square together to join hundreds of others in a peaceful protest of the fatal shootings of Alton Sterling and Philando Castile. At that moment in my office there was nothing anyone could have done to stop me. I felt I needed to be out there with Black Lives Matter, show face and feel it. I’m 33 years old and it was my first time taking part in a protest. I didn’t know what to expect but I was immediately taken back by the camaraderie. Everybody, a big melting pot of people reflective of the city they call home, seemed proud to be there. We were all standing together, side by side, a bunch of strangers chanting the same thing: Black. Lives. Matter. One artist, Dread Scott, made a flag that read, “A Black Man Was Lynched By Police Yesterday,” and we took turns waving it. That feeling of unity gave me goose bumps. I hadn’t felt that in a while. What I saw last Thursday was a city united and mobilized in peace for a common purpose. What I witnessed was that love outclasses hate, ALWAYS. The full letter can be found on Wmagazine.com. Osbourne isn't the only one who has decided to speak up. Amidst the hustle and bustle of the NYFWM last week, a buzz began to rise over protests right out side runway doors, a protest organized by blogger Hannah Stoudemire. 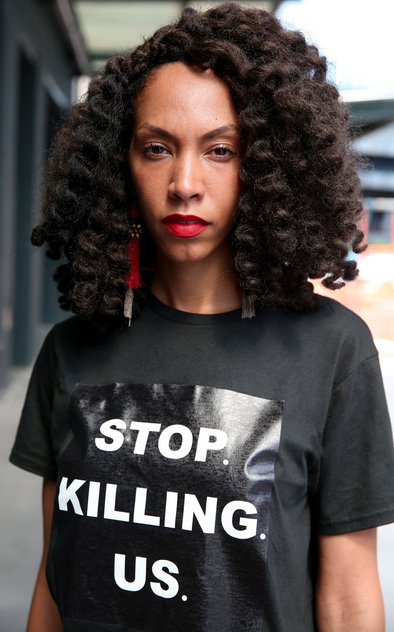 The protest took place outside Skylight Clarkson square where the participants made a silent but powerful statement, holding signs and wearing shirts that read "Don't Shoot," "Stop Killing Us," and "Black Lives Matter." Stoudemire posted on Instagram announcing that she would not be attending NYFWM, "...due to the fact that no major Designer/Houses expressed condolences to the innocent Black lives lost or have acknowledged that Black Lives Matter." From one blogger to another I can understand the amount of risk and guts it took to make a statement knowing that her motives could easily be misunderstood. I applaud Hannah for getting her message out into the industry in a way where her efforts could not help but be noticed, and without violence at that. Last but not least, newly appointed Teen Vogue editor-in-chief Elaine Welteroth, posted a video on her Instagram. 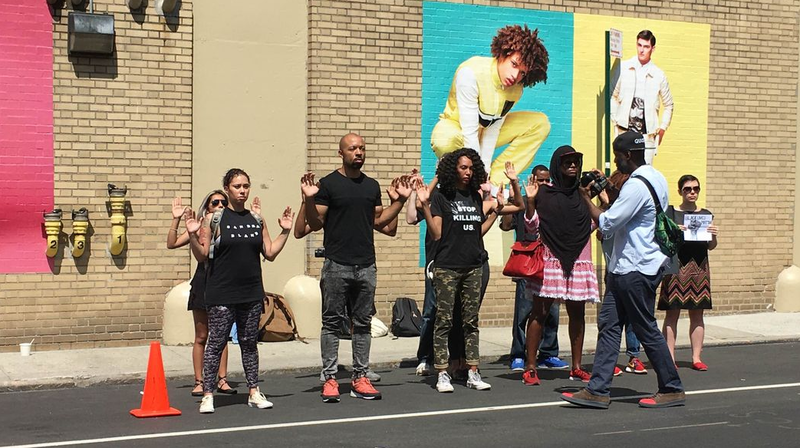 The video shows the Teen Vogue staff during their silent protest of the recent and heinous killings of Alton Sterling and Philando Castile. The caption read, " We won't stop until the violence does. Join Teen Vogue staffers in #silentprotest Fill in the blank below: #ITCOULDBE...Because if you live in America, this is your problem too. Sometimes you have to make it personal to make it real." The video can be found here. It is always important to stand up for what you believe in, even if what you believe in might not be the most popular thing at the moment. I am sure many felt like the presence of the Black Lives Matter movement "stole the spotlight" away from Menswear Fashion Week. When you think about the fashion industry and how globalized we have become, you can not help but wonder what we might do if we did not have different cultures from which to pull inspiration. How do you feel about the protests during NYFWM? You can now follow us on Bloglovin! This blog post is beyond enlightening! Coming from a similar point of view, this blog post was relatable and informative! I will definitely be checking out all your other blog posts! Thank you I really appreciate it, don't hesitate to share with others! The Strong Suit is now on Bloglovin' as well. Expect a visit on your blog soon! It's amazing to see that people are standing up and defending what they believe in. You don't need to be black to support the movement. It might be a racial issue but it reveals the situation of a world we're all apart of. We should support black lives matter just to give all lives matter a sense. I would have never knew that people in the fashion industry were supporting the movement it's awesome. It really is inspiring and you make a good point that many people may not understand. It is about all people realizing the wrong and injustices done, we do not have to be in this battle alone. I am so happy that I was able to provide some insight about the efforts being made in the fashion industry. Your comment was great and appreciated!